Mallorca - Barcarola Op. 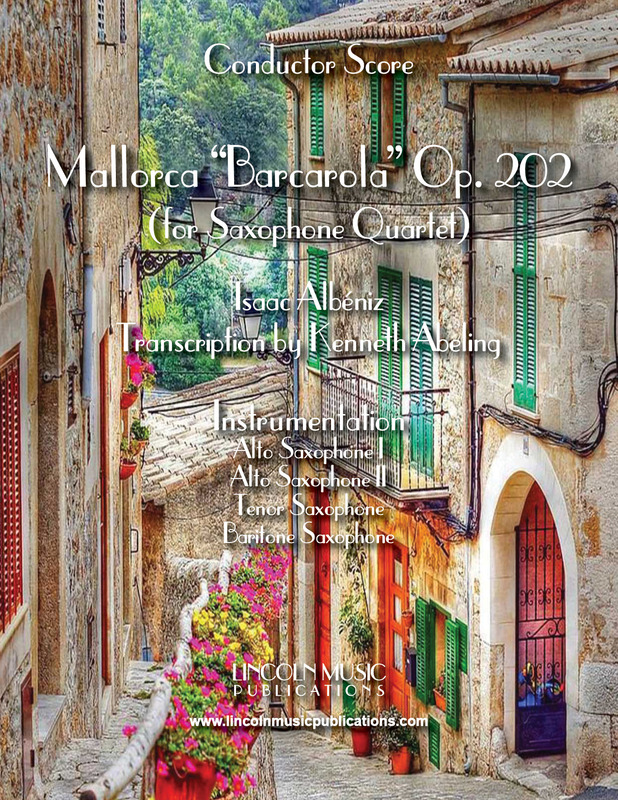 202 by Isaac Albéniz arranged here for Saxophone Quartet. In this very beautiful piece, and in typical Spanish fashion, Albéniz makes use of relative and parallel minor and major keys to create his Mallorcan landscape.